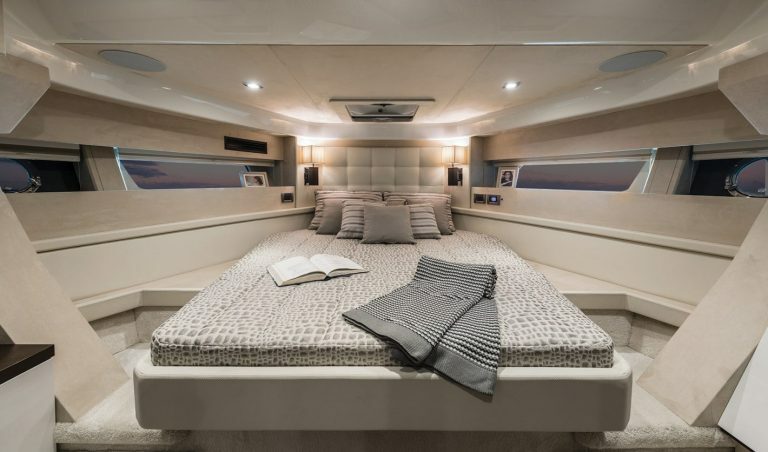 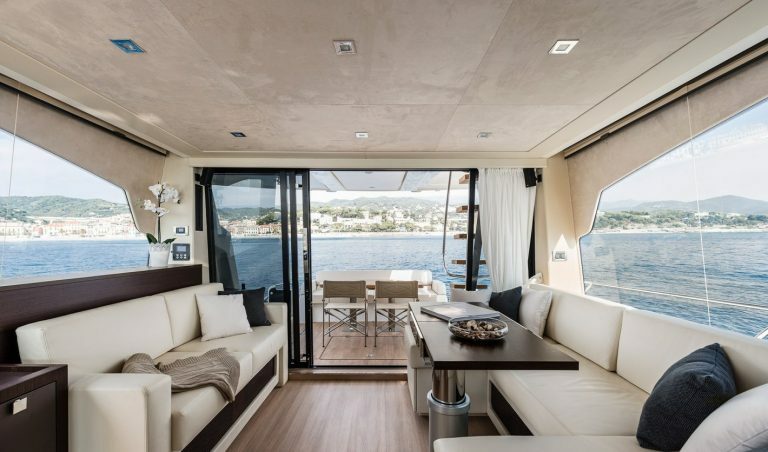 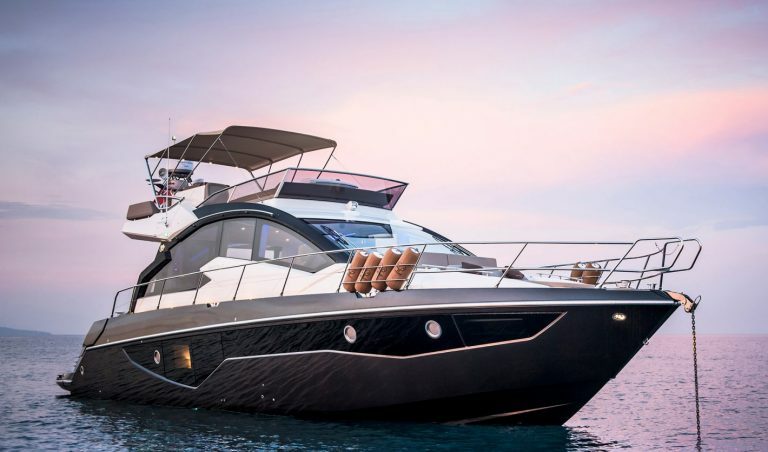 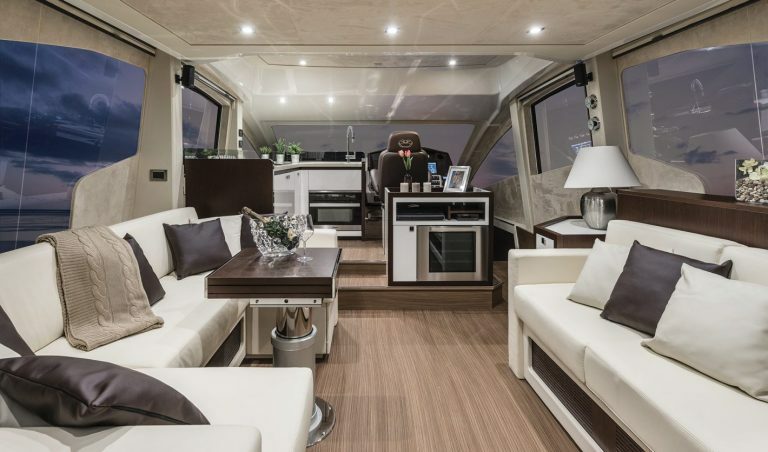 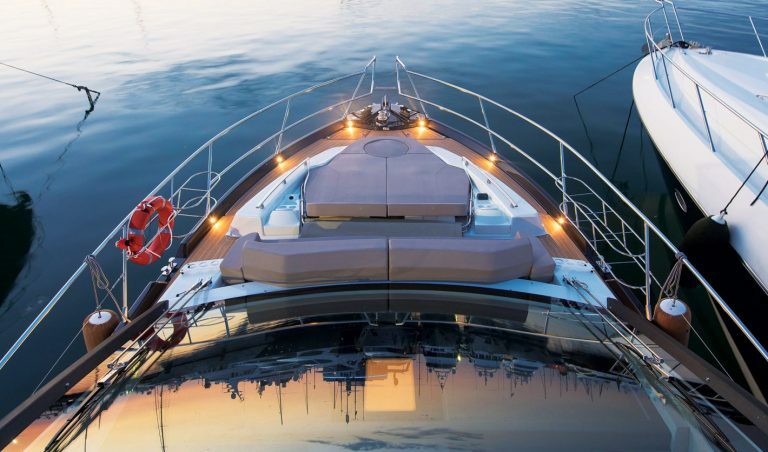 The Cranchi 60 FLY motor yacht offers extraordinarily generous and sociable space over three deck levels. 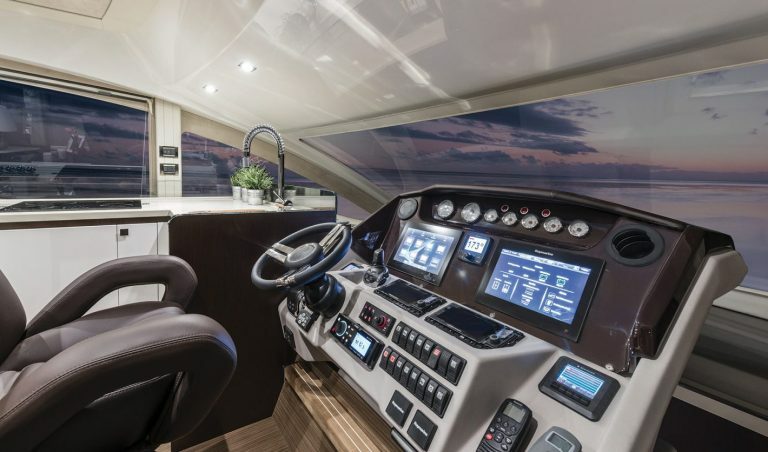 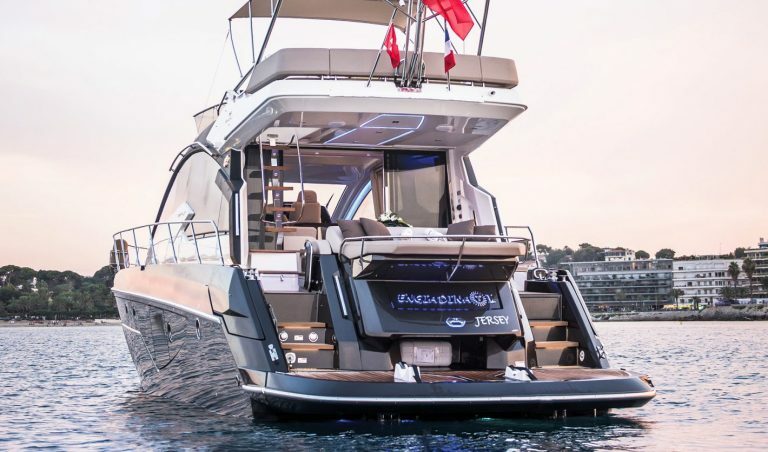 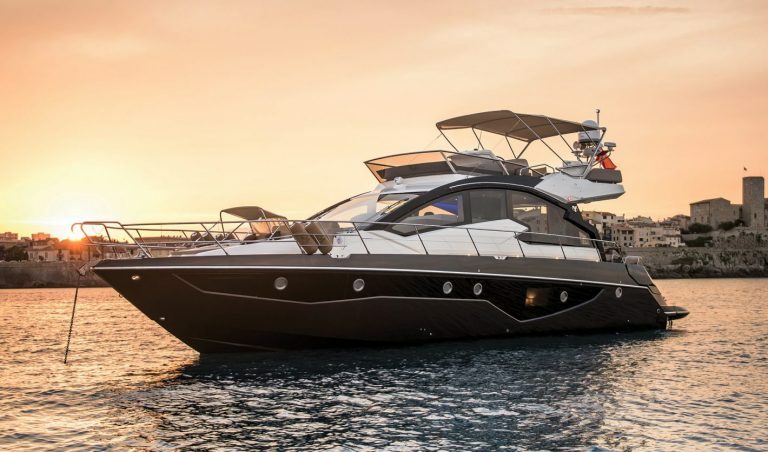 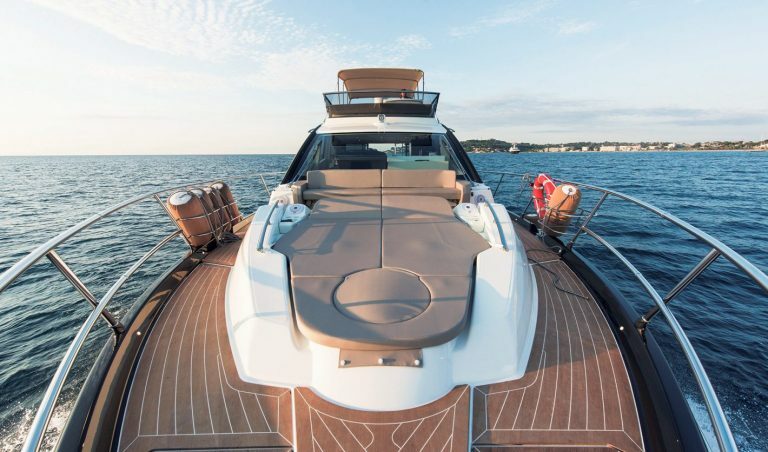 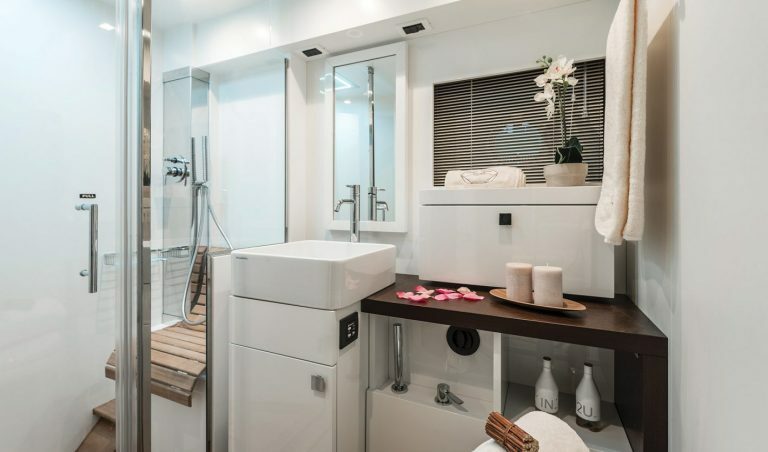 The 60 FLY large entertaining and sunbathing areas on the flybridge are complemented by further seated and sunbathing outdoor areas at deck level with easy access to the generous bathing platform. 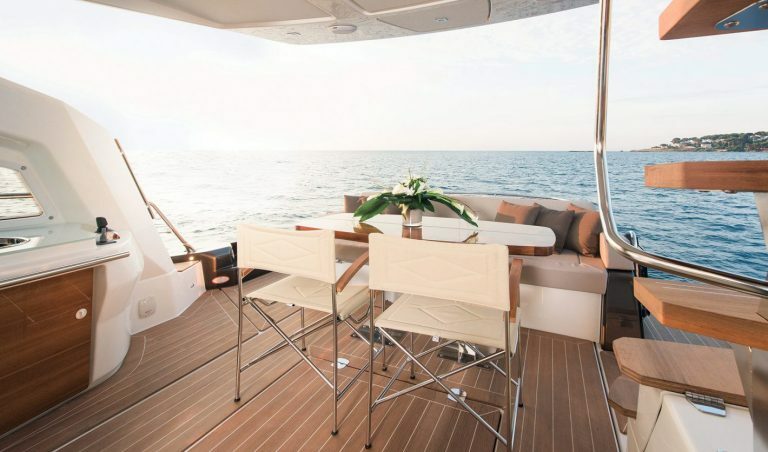 All with carefully crafted Italian styling. 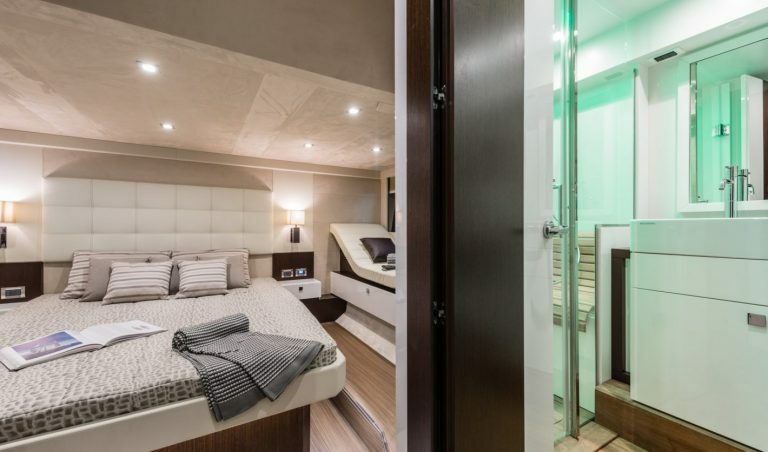 Inside the two suite plus twin cabin accommodation is matched by a spacious saloon with striking sculpted glass. 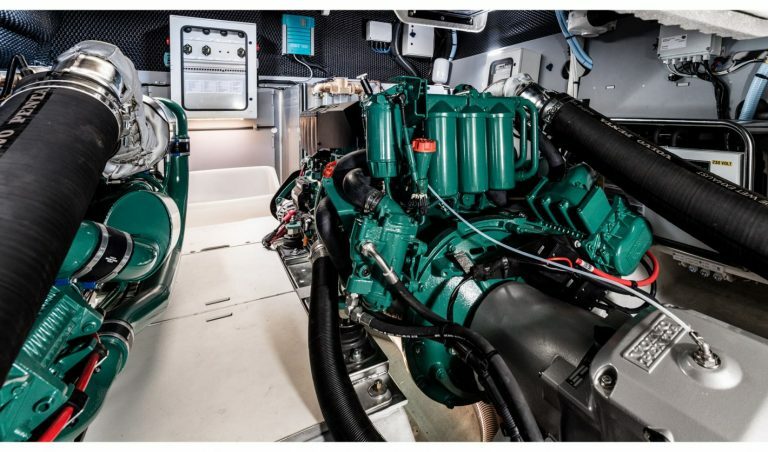 Twin Volvo Penta 725hp IPS drives provide the eager impetus to reach 35 knots.